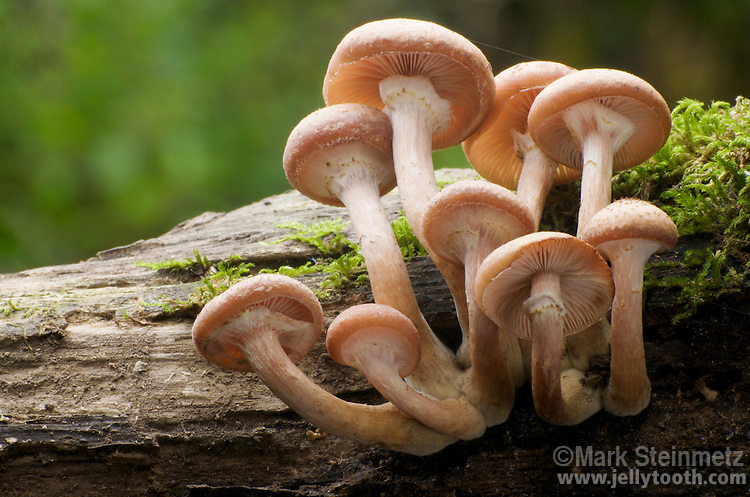 Low-angle view of a young cluster of Honey Mushrooms (Armillaria mellea) growing off a dead oak tree. The partial veils are just starting to pull away from the underside of the caps, revealing the gills, and leaving a membraneous white ring on the stalk. This species complex is both saprobic and parasitic on hardwood trees in North America. Delaware County, Ohio, USA.